This new AFM mode, developed by PrimeNano, measures the electrical properties of materials at length scales from 10’s of nanometers to microns. sMIM modules produce high quality images of local electrical properties with better than 50 nm resolution.The core of our technical approach is to utilize microwave reflections from a nm scale region of the sample directly under the sMIM probe. ScanWave™ sends microwaves to the probe tip via a fully shielded path. The microwaves create a near-field electromagnetic wave at the the probe tip that interacts with the sample surface and subsurface. After the near-field interacts with the sample, a portion of the microwave power is reflected back through the same shielded path to the ScanWave™ electronics for filtering, demodulating, and processing. As the probe moves across the sample, the reflected microwaves vary in amplitude and phase due to variations in the local electrical properties under the probe tip. 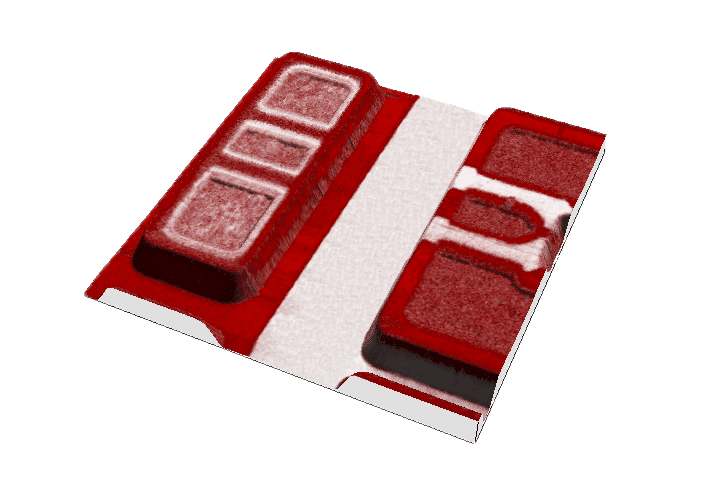 The ScanWave™ software calibrates the reflected signal from the probe-sample interface to create a capacitive and a resistive image that are displayed by the AFM simultaneously with the topography image or images. Industry’s highest sensitivity lets you image the hard stuff. Industry’s lowest noise floor lets you see the small stuff. Imaging of buried structures underneath the sample surface is possible thanks to the long range nature of sMIM. No ground or conductive path needed to get your electrical characterization. Electrical measurements can be made in tapping contact imaging modes, even during force distance curves. However you want to scan, ScanWave™ can get the electrical data you need. 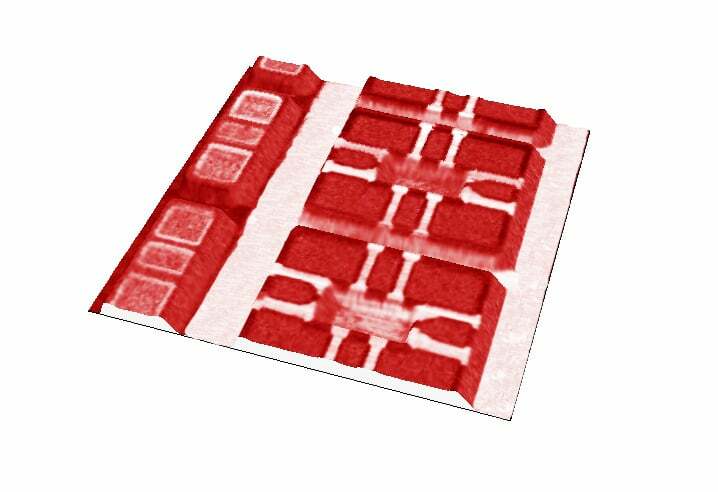 Transform your AFM into a high resolution, nanoscale local electrical property microscope. Be it conductors, semi-conductors, dielectrics, or insulators, ScanWave™ can handle it all. Different materials, even of different classes, can be imaged in the same scan. Scan management and configuration is a bliss. 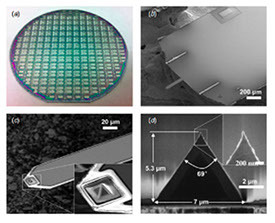 The sMIM probes are batch fabricated MEMS devices (micro electrical mechanical systems) with a shielded front and backside and center transmission line.The probe shielding reduces stray coupling from the environment and the cantilever. The probe radius is nominally 50nm to optimize signal strength and lateral resolution.The probe sample interface use a resistor and capacitor in parallel. This “leaky capacitor” presents an impedance mismatch to the 50 ohm system electronics, creating a reflection. As the sMIM probe is moved across the sample surface there is a change in the impedance of this leaky capacitor and the resulting change in the real and imaginary parts of the reflected wave are output as two signal from the ScanWave electronics. These signals are digitized by the AFM to produce the sMIM-C and sMIM-R images synchronized with the topography images. Related products : sMIM combined with Resiscope & HD-KFM = the best AFM electrical measurements package !